Come enjoy a week of instruction from the PCMS basketball coaching staff, stressing the fundamentals of shooting, passing, dribbling, defense, and the overall TEAM game of basketball. The campers will learn drills which develop fundamental skills to take home and practice throughout the year. 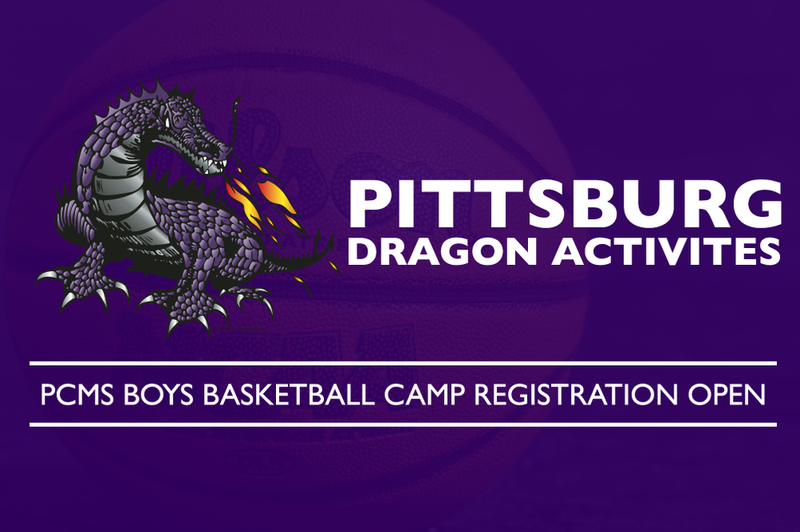 Camp is open to any boy who will be in grades 6-8 in the 2018-2019 school year and will run Tuesday, May 29-Friday, June 1 from 9-10:45 am. An enrollment fee of $25 per student will be charged. Families with more than one student participating in the PCMS camp will be charged $20 per student. Each camper will receive a camp shirt. For more information, please contact Coach James Cameron at 620-235-3240 or jcameron@usd250.org.